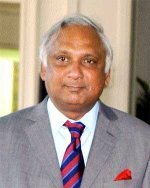 Chief Justice Sharma was then taken to the Fraud Squad headquarters where he was processed. He then left for the Port of Spain Magistrate’s Court where the charge of attempting to pervert the course of public justice was read to him. The police claim that he committed four acts in a bid to secure a favourable ruling for former Prime Minister Basdeo Panday who was subsequently convicted on all three counts of failing to declare a London Bank account to the Integrity Commission. The charge against the Chief Justice was laid indictably and bail was then fixed at $250.000. The matter was adjourned to January 5th 2007. Well let’s hope a (just) example is set, for this will either make or break in our pursuits of a crime free nation. The point is, from time memorial kid glove approach towards high crime and high profile individuals have relinquished faith in the system that have led to an almost state of chaos. If/when found guilty a jail term would be more appropriate than a fine knowing fully that there are too many corrupt dependants eagerly waiting to finance this embarrassing menace into silence. Equally important is the fact that disgraced CJ Sharma have used up his quota of privileges therefore must be process as an equal under the constitution. Which citizen has ever had the esteem privileges to legally challenge an arrest warrant on two occasions and with top priority all expenses via tax payers before he can be merely charged much less face a prima-facie hearing before trial is even decided?